Bordeaux, just the name conjures up all sorts of extraordinary wine expectations. As the fourth largest French city, the largest controlled wine growing region (AOC) in France, home to over 10,000 producers and the artisan of close to 70 million cases of wine per vintage, Bordeaux is the modern-day red wine Mecca, beckoning pilgrims near and far to scout for, speculate on and ultimately imbibe in the crown jewel, Bordeaux's exalted red wines. Not to say that Bordeaux doesn’t enjoy a favored following on the white wine or sweet wine fronts, merely that Bordeaux has been built on a foundation of red wine for hundreds of years, forged in large part by the historical and somewhat symbiotic relationship with the British over the highly coveted claret. This famous winemaking region’s maritime climate, celebrated parcels of land, distinguished collection of grape varieties, well-honed traditions and complicated classification systems all come together in a tethered trellising system to form the winemaking wonder that is Bordeaux. A land based on “banks” – left bank or right bank, formal family roots and home to a slew of newcomers, layered with rules yet capable of cultivating wines that don’t all fall in regulatory line, crafting wine for futures yet gracing the table with everyday wine, every day, and built a reputation of high-end wine, but presenting over 80% of its juice to the world in the “affordable” wine category at the $8-30 price point, Bordeaux is full of contrasts and more than capable of maintaining multiple wine expectations very well. Located in the southwest corner of France, just miles from the Atlantic, Bordeaux benefits considerably from the coastal maritime influence, and typically enjoys wet springs, fairly gentle summers, and mild winters. The Gulf Stream exerts a warming influence on the region, yet summer weather can be fickle and inconsistent, making for interesting issues when it comes to getting grapes to ripen fully. Bordeaux’s climate is a critical player in the vintage quality year in and year out. With great vintages built on the backs of well-ripened grapes and intended to age for the long haul and good vintages, maintaining the silver lining of being ready to drink earlier and selling at more affordable prices. The best vintages are always warm ones, Bordeaux can be a cool climate for red grapes, which need plenty of sun to reach full maturity, with optimum levels of sugar and tannin. Mature grapes create great wines. With good vintages, the wines come across fairly fresh, with less complexity and overall intensity. These wines may be ready to drink upon release and require a lot less age to enjoy fully, though if you do want to hold a good vintage 3-5 years will often suffice. Vintages from recent years that fall into the “good category” include 2006, 2007 and 2008. Great vintages are built to the cellar. They have a density, intensity and overall complexity that will only get more interesting with age. Recent Bordeaux vintages that fall into the “great category” include 2005, 2009 and 2010. Three Rivers do their best to define Bordeaux, with the major river, Gironde (truly classified as an estuary), effectively dividing the region into two primary sections – known worldwide simply as the left bank and the right bank. The flat, lower-lying land south of the Gironde is designated as the left bank and includes the regions of the Medoc and Graves. The gently sloping land on the north side of the Gironde is considered the right bank. The Gironde maintains two tributaries, the Garonne and Dordogne, with the Dordogne River serving to extend the right bank southeast along the most notable districts of Pomerol and St. Emilion. While, the Garonne continues its course south of the charming city of Bordeaux and slices through the land around the key districts of Graves, Pessac-Leognan, and Sauternes . In general, gravel dominates the soil of the left bank, which holds the sun’s heat well, lending itself to nurturing the thermophilic properties of Cabernet Sauvignon grapes best. The soil of Bordeaux’s right bank steers towards limestone and clay, functioning like a sponge to hold water, making it the ideal soil to grow the softer side of early-ripening Merlot. The complementary growing patterns and palate personalities of Merlot and Cabernet Sauvignon offer built-in risk management. There is a safeguard in knowing that Merlot will ripen sooner than Cab. If weather wipes out one grape, there’s still hope for the other, keeping all of the eggs out of a single basket at harvest time not only brings peace of mind but also allows two unique grapes to participate in a blended partnership to build a wine that is truly better together. Merlot brings plenty of red berry fruit, silky tannins, higher alcohol and lower acidity levels. While Cabernet Sauvignon is heavy on the black fruit, enjoys tighter tannins, significant structure and often lower levels of alcohol than Merlot. These complementary characteristics serve to support the balance of the blend, where one grape may lack the other fills in, resulting in a wine marriage that’s forged and sustained on varietal strengths while working in tandem to blend away weakness. Don’t expect to find the grapes on the labels of Bordeaux wines; you’ll find producer names, various villages, appellations and AOC designations, but not grapes. Why? It is where the grapes are grown - the terroir, the region, the village, the chateau itself that is most important to the Bordelais, not the individual grape varieties. This can make it tough to navigate Bordeaux wines for New World consumers, who tend to be more grape-centric, born and raised on the label designates of “Merlot” or “Cabernet Sauvignon.” Remember the name of the game is BLEND in Bordeaux, it is the combination of the climate, the soil, the overall terroir and the dominate grapes that create wine from Bordeaux, not a stand alone, all-star varietal. Bordeaux’s red wines are the region’s most vocal ambassadors, living a legend and leaving a legacy to all who imbibe. Crafted for a perfect pairing with the region’s best lamb, beef, duck, wild game and local cheese, Bordeaux’s reds on all levels, live for food. Merlot is the primary red grape grown in Bordeaux weighing in at 60% of the vines planted, followed by Cabernet Sauvignon at 26% and Cab Franc at 12%. Malbec and Petit Verdot may also be grown in Bordeaux, but they are grown in much smaller quantities and are used more for “seasoning” the red blend rather than building the blend itself. Merlot– The dominant red wine grape of Bordeaux is Merlot. The highest concentrations of Merlot are grown on the right bank with limestone and clay being the most common soil substrates. This early ripening grape brings plenty to the blending table. Aromatic red fruit on the nose along with the supple fruit components of plum, cherry and chocolate and softer, silk-driven tannins bring a round character to the medium to full-bodied Merlot-based wines of Bordeaux’s right bank. The storied village of St. Emilion and the small district of Pomerol are the most famous districts for Merlot-based blends in Bordeaux; while, Fronsac continues to be one of the more affordable, offering high quality, well-priced right bank wines. Cabernet Sauvignon – 26% of Bordeaux’s red wine grapes are Cabernet Sauvignon. Cab dominates the left bank and is a late ripening grape, with intense tannins contributing structure, depth, and long-term aging potential. Wines on the left bank are anchored by Cabernet Sauvignon and blended with varying degrees of Merlot and Cab Franc (and perhaps a scosh of Petit Verdot). These left bank lads tend to enjoy deep color, remarkable intensity, a full body, plenty of structure and enduring elegance along with darker fruit components. Acclaimed names for some of Bordeaux’s best Cab-based blends come from the villages of St. Estephe, Pauillac, St. Julien and Margaux. For more affordable left bank wines look for labels with the villages of Listrac, Moulis, and Haut-Medoc. Cabernet Franc – Grows best on the right bank, but is also readily found on the left bank. This grape has long played a supporting role to Bordeaux’s Merlot and Cabernet Sauvignon. Cab Franc lends spicy aromas with peppery accents and violet nuances, along with an understated elegance and fine tannins to the region's red wine blends. Malbec and Petit Verdot – In Bordeaux these grapes are grown in considerably smaller quantities, making up roughly 2% of the region's red grape population. However, Malbec and Petit Verdot both may be used in Bordeaux blends, with Malbec contributing a softness and Petit Verdot bringing some serious power and structure. The white wine segment makes up about 11% of Bordeaux’s total wine market. 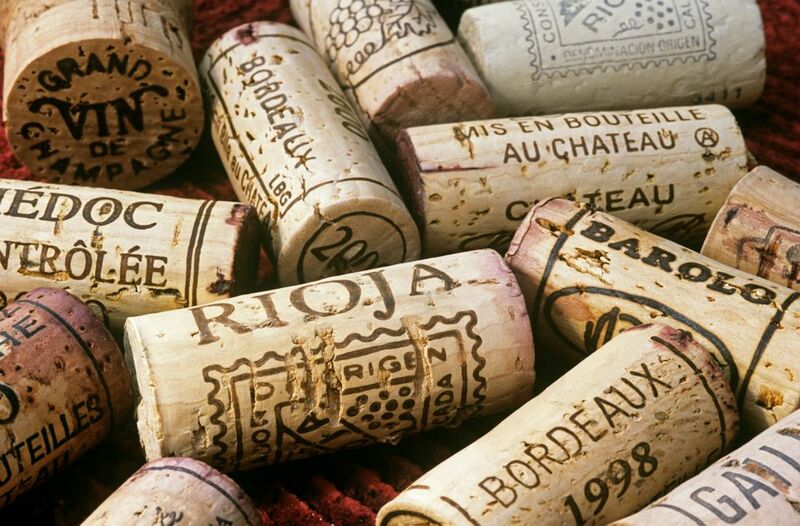 Sauvignon Blanc, Semillon, the floral Muscadelle and Ugni Blanc are the only four grape varieties allowed to participate in the white wine AOC labeled blends of Bordeaux. For a lean, dry white wine brimming with acidity and food-friendly character, look for labels sporting the district of Entre-Deux-Mers. If more body, a much rounder palate profile and an uptick in complexity define your favorite white wines, then scout labels with district designate of Pessac-Leognan or Graves. Sauvignon Blanc – The white wine grape, Sauvignon Blanc, enjoys a good deal of diversity in Bordeaux. It can be made into a crisp, refreshing dry white wine in regions like Pessac-Leognan that pair well with oysters, shellfish, and regional seafood or it can be beautifully blended with Semillon to make the sweet wines of Sauternes or Barsac, perfect pairing partners with the regional Foie gras and Roquefort cheese. Sauvignon Blanc is not typically made to age on its own, but enjoyed in its youth will show fresh herb or “grassy” aromatics with bright acidity and well-balanced fruit. Semillon – The Semillon grape is the most widely planted white grape in Bordeaux. It can be showcased on its own or in a blend with Sauvignon Blanc. This grape brings full flavor, creamy textures, intensity, and body to a blend and constitutes the primary grape used for making Bordeaux’s sweet Sauternes, thanks to its exceptional susceptibility to noble rot, or Botrytis Cinerea. Unlike Sauvignon Blanc, Semillon can age well given the right vintage and is a rich, dry white wine in the hands of regions like Graves and Pessac-Leognan. Buying wine from Bordeaux can be an intimidating experience for newbies. For starters, French wine labels, in general, steer clear of grapes and focus on geography. Labels highlight a wine's classification, the region that the grapes were grown, the AOC statement, and the estate - similar to New World wines, except that many are not familiar with Bordeaux's regions. Does the village lie on the left bank or right bank and why does it matter? Many would-be buyers of Bordeaux lack familiarity with Bordeaux's 10,000 estates and are oblivious to the region's the AOC Classification System. To gain an initial grip on buying wines from Bordeaux, recall that the right bank is dominated, in general, by Merlot and the left bank is typically anchored by Cabernet Sauvignon. Learning several Bordeaux-based villages on each side of the river constitutes the next step for label recognition, whether you're buying the wines online or at the wine shop. Keep in mind; vintage variables play a critical factor in buying Bordeaux wines, check out the last several Bordeaux vintages to see where they line up on the "good" vs. "great" scale, clearly good vintages are cheaper than great vintages. It's also no surprise, that big name chateaus will command significantly higher prices for their wines, but you can find solid red blends at incredible prices from Bordeaux's more modest chateaus. Learn more about top tips for buying wine from Bordeaux here. While the finest wines from Bordeaux, the ones that have both built and maintained the region’s prestigious reputation are quite expensive, often cashing in at $1000+ a bottle for First Growths, they do not represent the majority of wines from Bordeaux. In fact, the vast majority of Bordeaux’s wines are affordable, food-friendly wines. Love it or hate it, drink it or not, Bordeaux has ruled the world of wine for well over three centuries and looks like it will continue to steer tradition, influence consumer trends and prep the future of vines for years to come.